Legal translations are a highly specialised area of the translation sector, which need to be handled with the utmost care. A poor translation could result in serious consequences for law firms, their clients and other interested parties. Therefore it is vital when sourcing legal translation services that the provider has the expertise and systems in place to ensure accurate translation and interpreting services every time. Our legal translation team in London have prepared these guidelines for assessing the suitability of a translator, interpreter or translation agency. If your company is looking for legal translation services, use the points below to benchmark different providers. Technical proficiency is essential for accurate legal translation and interpreting services. Translators and interpreters must be subject matter specialists and this means that relevant law qualifications are a prerequisite. Not only do legal translators need to understand the meaning of the words they translate, they also need to know the meaning of the laws those words represent. It is about understanding the legal effect of each translation project in its target language. Ask to see CVs and other evidence of a translator or interpreter’s expertise before assigning your translation project to them. It is worth asking potential providers how they select legal translators and interpreters, and what technology solutions they also employ. You would expect a legal translations agency to handpick their team based on their linguistic skills, technical expertise and practical experience of relevant translation projects. Expert Project Managers are also an important element of an accurate legal translation, ensuring that all work is carried out to the highest standards of quality. Therefore, it is important to find out what systems and procedures are in place, such as adherence to ISO 9001:2015, and who has responsibility for delivering your project. Translation technology helps streamline processes and ensures consistency across large documents or ongoing cases. We recommend that you enquire about the technology solutions a provider utilises and how they integrate automation and linguists into their translation services. Used appropriately, technology can reduce turnaround times and costs significantly, as well as ensuring accuracy and consistency. Outsourcing to a 3rd party provider presents issues with confidentially and data protection for regulated companies, like those in the legal sector. Sensitive information and legal documents must be treated with the utmost care and all parties must have robust systems in place to protect them. 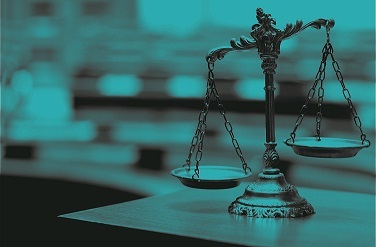 A legal translation service provider should have strict confidentiality and security policies; including Translator Confidentiality Agreements, NDAs, as well as data protection and cyber security tools and processes and adhere to certifications such as Cyber Essentials or ISO/IEC 27001:2013. Without having in-house expertise, how can you trust that a legal translation has been delivered to the highest standards of accuracy and professionalism? The translation sector is unregulated and this is means that in theory anyone can claim that a translation is accurate. Courts and Government Departments require evidence that translations are a truthful and faithful rendering of a legal document. A Certified Translation from a recognised provider is therefore necessary. Translation services providers should be members of the Association of Translation Companies (ATC), which operates a strict code of professional conduct for its members. Furthermore, freelance translators and interpreters should be affiliated to professional bodies such as the AIIC, Institute of Translation and Interpreting and Institute of Linguists. Here at Comtec we ensure that all our translators and interpreters are members of the relevant professional organisations. Many translation agencies, like Comtec, are recognised by the British Home Office. We are also able to provide notarised translations and legalisation by the Foreign and Commonwealth Office, when required by overseas courts or government departments. Translator And Interpreter Network. Does the provider have sufficient expert staff to provide the service you require? Can they offer the languages you need as well as subject matter expertise? Project Management Team: How will your translation projects be managed? Who is responsible for delivering projects as agreed? Turnaround Times: Can the legal translation services provider guarantee the turnaround of projects in the necessary timeframe? Do they offer any ‘rush translation services’ for projects that need to be delivered quickly? Cost Savings vs. Quality: Can the provider ensure quality while also delivering value for money? These five points can help you compare and benchmark different legal translation service providers. If you would like to find out how Comtec performs against the above criteria, please get in touch. You can also download our guide to legal translation and interpreting services here.